Fr. 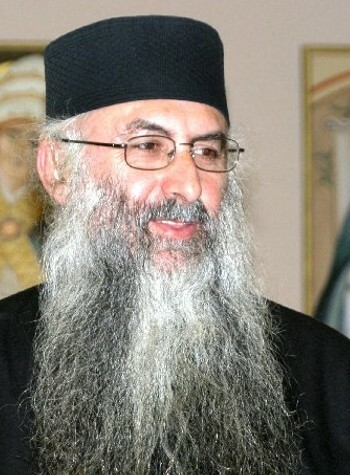 Zacharias was born and raised in Cyprus in an Orthodox Christian family. His mother became a nun toward the end of her life. As a young man, Fr. Zacharias left Cyprus to study Chemistry in London. Before he completed his studies, he became acquainted with Father Sophrony and his Monastery. Fr. Zacharias abandoned his studies in Chemistry and preferred instead to answer God's calling and follow the monastic way of life in the Orthodox Church. Elder Sophrony sent Fr. Zacharias to study at the Theological Institute of St. Serge in Paris where he spent five years, and then moved to Thessalonica for a further fourteen months, in order to obtain a second degree in Theology. Fr. Zacharias is fluent in Greek, Russian, French and English, and has translated Father Sophrony's books from Russian into Greek. Elder Sophrony gave Father Zacharias the blessing to write a doctoral dissertation under Professor George Mantzarides (who is a leading authority in Christian ethics in the Orthodox world) entitled Christ, Our Way and Our Life, published by St. Tikhon's Seminary Press. He has since published many books in multiple languages in which he articulates the theology of Elder Sophrony and St. Silouan the Athonite. Fr. Zacharias has lectured and continues to do so extensively each year on an international scale.